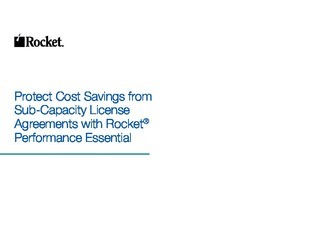 Sub-capacity licenses are designed to help manage runaway mainframe costs, bringing all the benefits of a traditional mainframe platform without the hefty price-tag. There’s just one catch – all batch jobs must be executed within a four-hour window, or the capacity savings become void. In this white paper, find out how to improve your sub-capacity operations to keep applications running efficiently and prevent possible SLA violations – and the hefty costs they can incur.